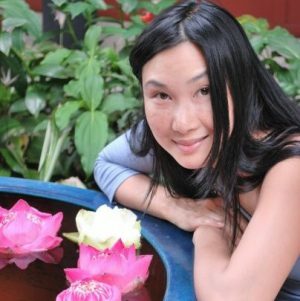 Born and raised in Lima, Peru, third generation Chinese-Peruvian Sofia Wong learned needlework from the young age of five, and never stopped sewing. Some years later, her career took her for over a decade to Japan’s western coast and the medium-sized city of Kanazawa. 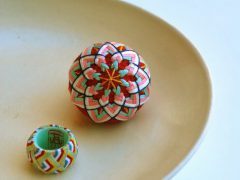 It was there where Sofia met her teacher – the respected Ms. Onishi, regional art of Yubinuki (thimblemaking) – and learned the detailed, Japanese craft intensively. Now located in Fort Worth, Texas, Sofia works out of her Sofia Tsubame studio located in the historic Fairmount District, where she designs and crafts unique pieces for custom orders both in the United States and abroad. 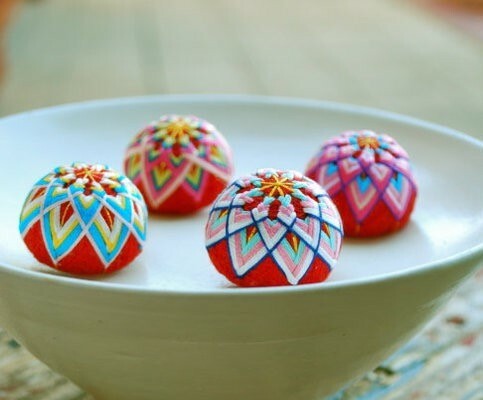 In addition to thimbles, Sofia also crafts Temari (handballs), and a number of other inspired accessories influenced from her Chinese, Peruvian, and Japanese experience and heritage.